While coaching or advising companies creating products and services or facing innovation challenges, I’ve been dealing with several methodologies, which have shown useful or even crucial at different stages and for different purposes. Dozens of approaches, disciplines and methodologies exist and, while is not the objective of the post to push for one or another, here you will find a recap of several of them in a systematization in a credible body of knowledge. Since today, I’m starting to publish specific contents about alternative currencies on Dropis blog. Dropis is a project for the creation of a currency dedicated to the sharing economy. See dropis.com for details. In the Hyper natural world people develop new relationship with the objects and the objects themselves change and evolve, enabling people to communicate, live and exist with/from/to objects: in that sense objects need men and men need objects in a circular relationship between technical evolution and generation of new use cases. On the Role of Technology in the Startup process – A talk with Carlo D’Acunto. What’s the role of the geek, the technologist, in the process of building a new digital product, service or company? Very often, having a full comprehension of technology gives you the capability to track new opportunities that only technological development leaves open. 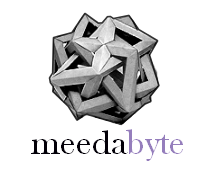 Meedabyte today hosts Carlo D’Acunto, one of the most productive Italian technologist, to discuss the role of technology in the startup process and more. Enjoy!